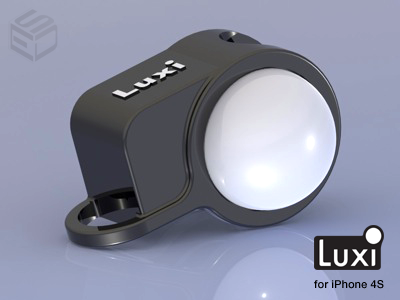 Luxi, the clip-on incident light meter adapter for the iPhone, is now starting production, having successfully met its funding target on the Kickstarter web site. The device is a small white dome that fits over either the front or the rear camera of an Apple smartphone, providing incident light readings when used with a companion software application. Now that the product is heading for the production line, the manufacturer, Extrasensory Devices, has made it available for pre-order to members of the general public who didn’t get involved with the crowd-funding campaign, or for existing supporters who want to buy more units. 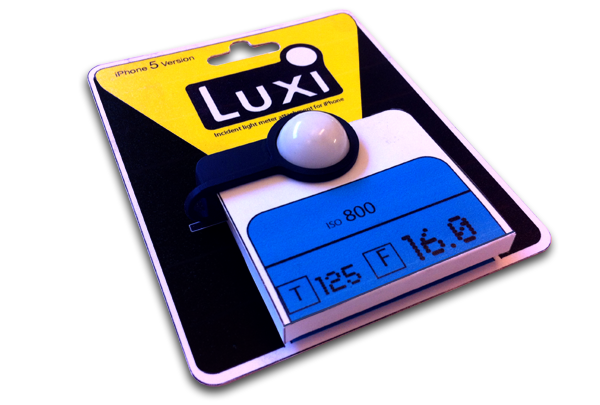 The associated Pocket Light Meter application for iOS is also “waiting to be released” in the Apple App Store and the hardware packaging has been completed (see below). 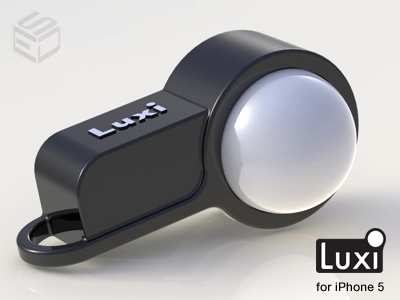 It is now possible for anybody to pre-order the Luxi for $24.95 from the ES Devices web site, with shipping coming in “4–8 weeks”. There is so far no indication that the company will develop the adapter for other kinds of smartphones.